These easy meatballs are flavored with dried herbs and fresh parsley and baked to perfection. 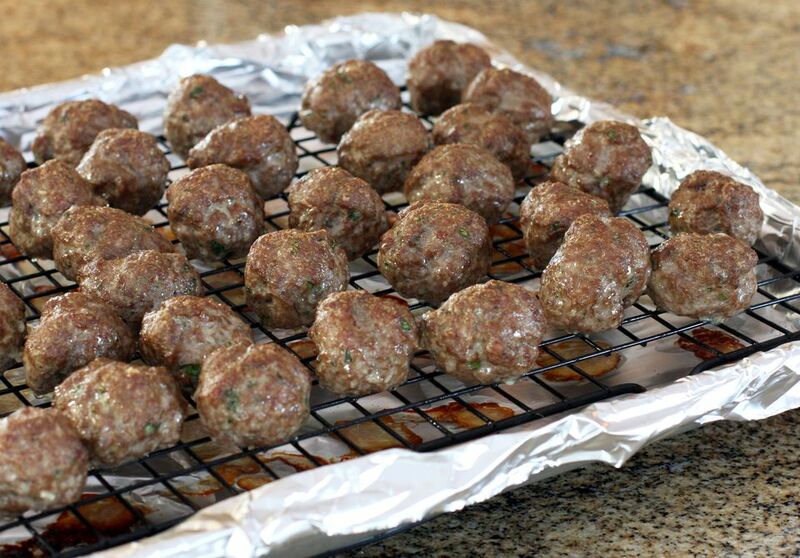 Use 85% ground beef for the most flavorful and moist meatballs. Enjoy these tasty meatballs in your favorite pasta sauce or serve from the slow cooker with a barbecue sauce, sweet and sour sauce, and pineapple chunks, or other appetizer sauce. Heat oven to 350 F. Line a large baking pan or roasting pan with foil and place a large cooling rack on the foil. In a large bowl, combine the ground beef with the breadcrumbs, garlic, parsley, dried thyme, basil, and oregano, the salt and pepper, beaten egg, and milk. Mix with hands until well blended. Shape into 1-inch meatballs using hands or a cookie scoop. Place on the rack. Bake for 35 to 40 minutes, until cooked through and nicely browned. To keep the mess to a minimum, put the ingredients in a large food-storage bag, close it, and squeeze the bag to blend ingredients. Alternatively, use disposable gloves to mix ingredients. The paddle attachment of a stand mixer does a good job, but take care not to overmix if you use the mixer.